Bounce rate is something I was never really bothered about when I first started blogging, in fact I don't think I even knew what it was and how it worked until I started using Google Analytics properly around two years ago. Bounce rate is the percentage of visitors who leave your blog without visiting any other page other than the page that they landed on. In most cases, particularly for bloggers, a high bounce rate isn't good as it could mean that your content isn't relevant or interesting to them, you're not effectively targeting the right audience for your blog or there may be some technical issues with your blog which are preventing readers from accessing and viewing it correctly. My Bounce rate has always been pretty high due to hosting many giveaways on the blog where people simply visit, enter the giveaway and exit! However, this past year I have been working on ways to reduce it and have managed to get it down from 79.82% which was pretty high (back in 2013) to 49.44% which is the lowest it's ever been. My average would always be around 68% until earlier this year when it started decreasing each month. Typically bounce rates for blogs are usually quite high around 60-79% and websites are much lower around 45-60%. You can find your blog's bounce rate by viewing your overview page on Google Analytics. The whole idea is to keep people on your blog for as along as possible and capture the readers' attention. Here are 8 ways that you can reduce your bounce rate and keep visitors on your blog for longer. This will help keep visitors on your blog for long as once they are done reading your post it's the first thing they see once they get to the bottom and they may want to read more. By giving them this option you are helping making it easier for them instead of having to go and find other posts which they may not want to. You don't have to name it "Related posts" these could be any posts you think your readers may like to read. 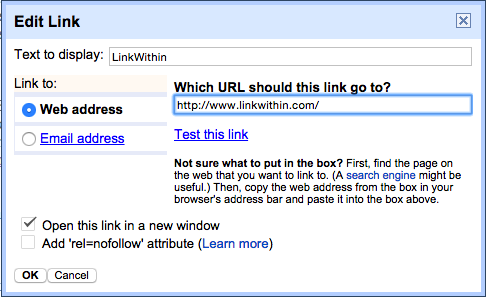 You can use LinkWithin to install a "Related posts" widget which will show related posts however I like to make my own on InLinkz as I can then choose which posts to display whether that be most popular posts or any I want to promote. Install a popular posts widget in your sidebar to show off your most popular posts and give your readers a reason to stick around for longer. You can do this through your blogging platform or make your own. Some bloggers install a slider to display these, and some upload their most popular posts themselves. As you can see to your right I have a number of popular posts in my sidebar which I uploaded individually rather than using the popular post widget on Blogger which means I can pick and choose which posts I want to display. Not only is Interlinking great for SEO it is also a great way of encouraging visitors to visit more than one post on your blog and stay on your blog for longer. If you're writing a post which you can include a related link, link to it! I try and include a link back to one of my own posts in every post if I can. For example this post about keeping your workspace organised includes a couple of links to other posts which are related to that post. It's great to link to other blogs or brands we love however if you do, make sure that the link opens up in a new window. This means that when someone clicks on it, your blog will remain open in the background for them to look at again once they close down the other window, rather than disappearing into their browsing history resulting in them not being bothered to type your blog url back in or search for it. By not doing this you are sending people away from your blog which you don't want to do. By making your blog easy to navigate your visitors will want to stick around for longer and will easily be able to find their way around and get lost in your content. Make sure your categories are easy to find at the top of your homepage or sidebar and when you write a post be sure to label it into the correct category so visitors can click through and read the posts in that category. I have many readers who tell me that they spend the evening reading my blogging tips because they are all easy to find under the blogging tips category. Also make sure you have a search bar near the top of your blog more importantly "above the fold" so people can easily use it if needed. Something I like to do every now and again when I find time is go back and update my old blog posts. Ones which aren't easy to read or visually appealing as my more recent one. I make a new pin worthy image and replace the old one, perhaps amend the title if needed and just make it generally a lot easier to read. After all if those posts are the first one that your visitor lands on they may not be getting the best first impression from you blog and chances are they won't stay for very long, or bother to check out any other posts. Go to your Pinterest Analytics and see which of your most popular pins are old posts and start with those first. 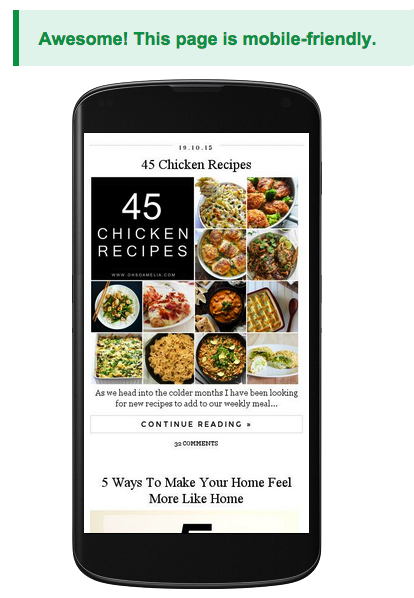 Did you know that 1 in 10 blogs aren't mobile friendly? Many readers visit blogs using mobile devices these days so it's always worthwhile making your blog mobile friendly otherwise they will leave. Visit your blog from your smartphone or tablet to check that everything is clickable and you can see it all how it should be. You can check to see whether your blog is mobile friendly here. Compress and resize your images by using a tool such as TinyPNG. By compressing your images the speed page will decrease. Ideally you want to stay under 2 seconds. You can use Google's PageSpeed Insights for more suggestions on how to speed up your sight. You can view your average page load time if you have the Alexa Google Chrome extension installed on your browser. Also make sure to get rid of any plugins which you no longer use if you are on WordPress as this can slow down your loading time. So those are my top tips for reducing your bounce rate and ways to keep visitors on your blog for longer. I hope you find them useful. Don't worry if you have a high bounce rate it's not a metric to rank your blog, however some people like to reduce it if possible. 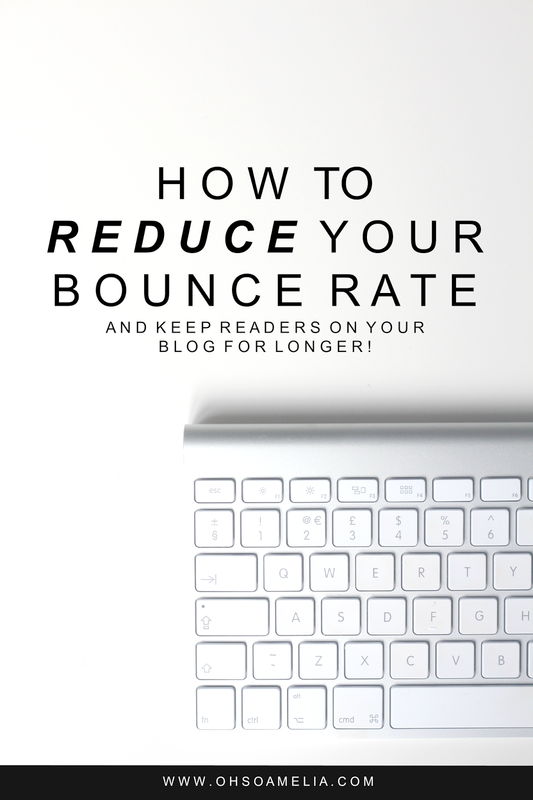 Do you try and reduce your bounce rate? If so, how have you tried to do this? That is SUCH a low bounce rate, I'm impressed. You've got some great tips and reminders in there. I love going back and giving old blog posts new life! Great post as always Kerry - so helpful! I've never thought bounce rate if I am honest but I do most of these thank god! I've read similar about blogs and bounce rate. If you've a lot of search engine referrals your bounce rate can be high because are coming in to read that one article and leaving. You may have done a good job even getting them there in the first place. these are all very wonderful tips! got givee some of these a try! I bounce back and forth on making old posts look better. I really should redo a few of them that I get Pinterest traffic from still! Great tips! I especially like the one about "making external link open in their own tab" . I see this mistake all the time on people's blogs. Also, as a reader it really drives me crazy- I usually want to stay on their blog because I was there in the first place! Thank you so much! These are all simple easy tricks to use and implement! Great tips. I use them all. But as bloggers, we still end up with 70-90% bounce because, like the reader who commented above, many people come just to read the one post and have no interest in reading more. Wonderful tips!! I have heard the Tinypng. thing, but need to give it a try as well as updating old posts more. Pinning this gem right now! I do all of these apart from needing to finish going through all my old stuff. My bounce rate used to be about 50 it its now around 70. I put that pretty much all down to stumble upon. Have you found yours has gone down after using that? I've had advanced GA training thanks to my job, and another good tip to help lower bounce rate is to trigger a GA action at the end of the post. We don't currently have a tutorial or blog post about how to do that, but this company do, and I've found it the most helpful and insightful so far - I've actually shown my trainer this and she found it really helpful, and she's a GA pro! The blog post is here: https://megalytic.com/blog/how-to-track-content-engagement-with-google-analytics. It takes up a bit more time to add to a blog, but if someone is looking to improve their bounce rate, it's a more advanced tip for when they have done everything detailed in your post. Hope it helps! Great tips! You have an awesome bounce rate! I always try to update old blog posts if I link to them, especially the graphics! Apparently you should re-pin them too, and delete the old pin if there are no re-pins of that specific post. Boosts your Pinterest show rate...! Fab tips! I do pretty much all of these, but so useful to have a reminder of the ones that I don't do... I definitely have to add that search bar and maybe try reduce the download time too. My bounce rate is usually around 70%, which is OK I suppose. Having it in the 40's for a blog is pretty amazing, you've done really well! Thanks for posting this Kerry, this was on my blogging to do list back in January, I still haven't really done anything, at least now I know what I need to do! Great resource! I'm getting my site redesigned now, and I had ZERO idea how slow my website was due to just the huge pictures! I'm on it now and going back through my old posts ASAP. Thanks! Great post, i’ve been blogging for about 3 years and just launched a new lifestyle blog and taking it more seriously this time. These are some great tips. Thanks! I'm doing quite a few of these things already and my bounce rate is still atrocious, maybe it's just my content! I'll need to actually take some time to really go through my blog and update accordingly.